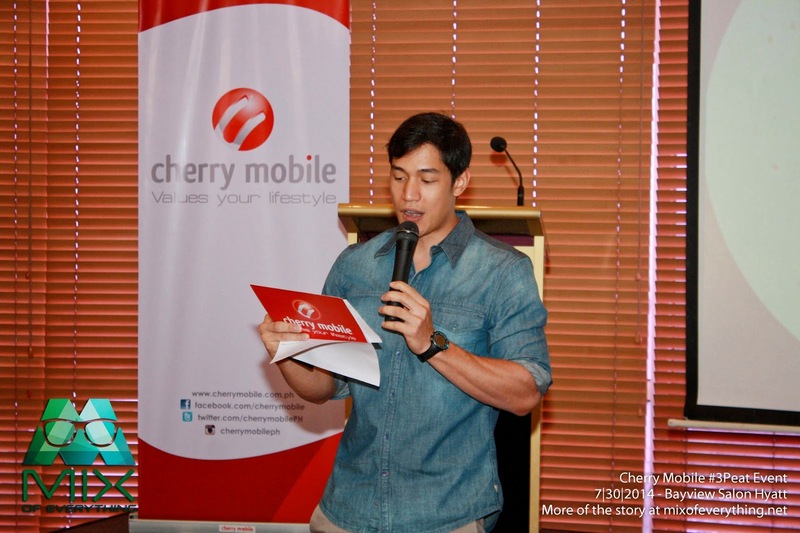 Cherry Mobile Unveils Fiery Surprises! - Hello! Welcome to my blog! The leading value-for-money phone brand Cherry Mobile has announce three big news during the #3Peat event last July 30 at Bayview Salon, Hyatt Regency Hotel and Casino, Manila. 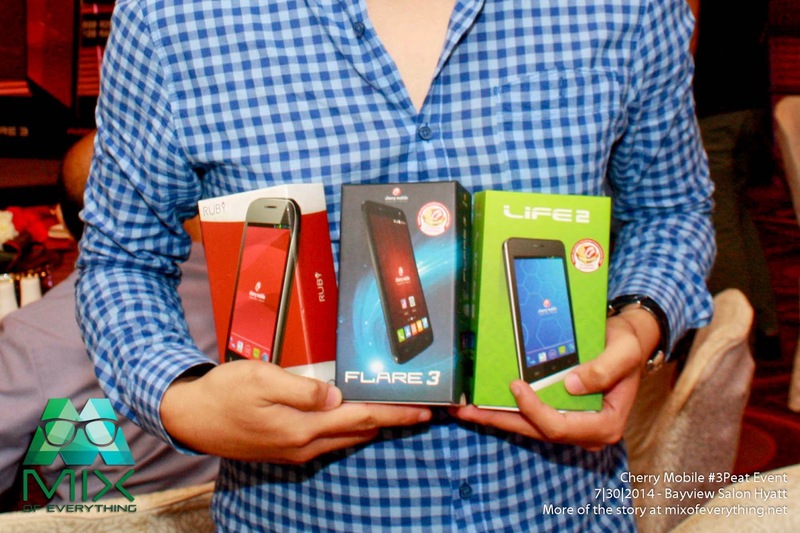 For their coming 5th year anniversary, Cherry Mobile highlights the launching of their newest phablet, the Flare 3, the Awesome 5 Promo & the Pinoy App Shop whis is a developer initiative. The event was hosted by one of their digital brand ambassadors, Victor Basa, they started off with the Pinoy App Shop. 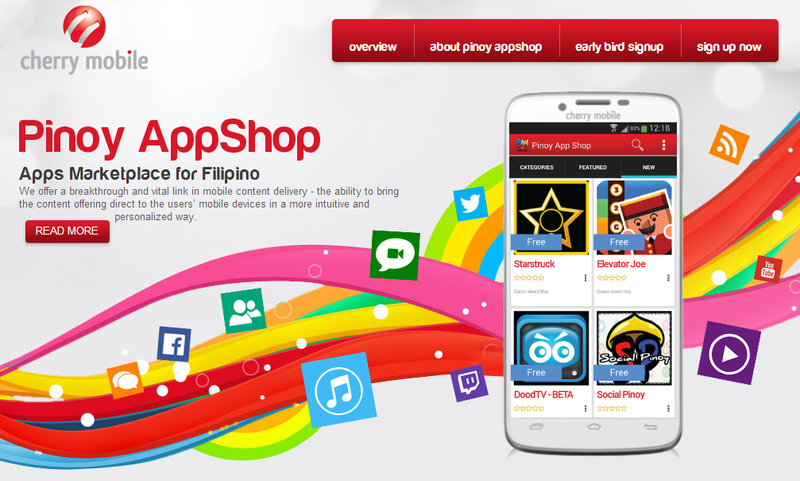 This app basically gives Filipino app developers the opportunity for their apps to be used by the public. There are so many good developers in our country and this app is the best place where us users can download and support these apps made by fellow Filipinos. 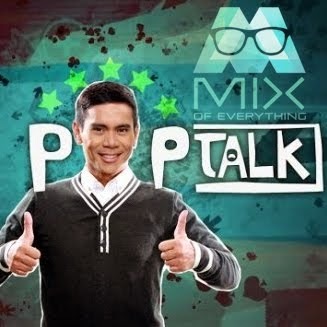 This is one thing that Cherry Mobile is proud of supporting. The said add will be embedded in Cherry Mobile handsets. Second of the three is the launch of their newest phablet, the Flare 3. Dubbed as the "Best Ever Flare". This latest and most anticipated is expected to beat its competitors in the same price-point. It has sleek design with great mobile capabilities. Early reviewers already expressed amazement on the gadget and said that it does not disappoint and for sure is value-for-money. Available in five different colors – black, white, silver, red, and blue. The phablet is powered by a Quad-Core processor and equipped with Android KitKat 4.4, the “Phablet ng Bayan” makes navigating through the phone appear seamless; especially with its five-inch qHD IPS OGS scratch-resistant screen display. Has an eight-megapixel BSI back-camera, while its front-camera boast of a three-megapixel camera. These amazing things they revealed sure are signs of things to come. Since its entry in the market, Cherry Mobile has continued to produce wide varieties of stylish and sensible feature phones, smartphones, and tablets that meet the needs of each mobile user, while still maintaining its competitive prices. 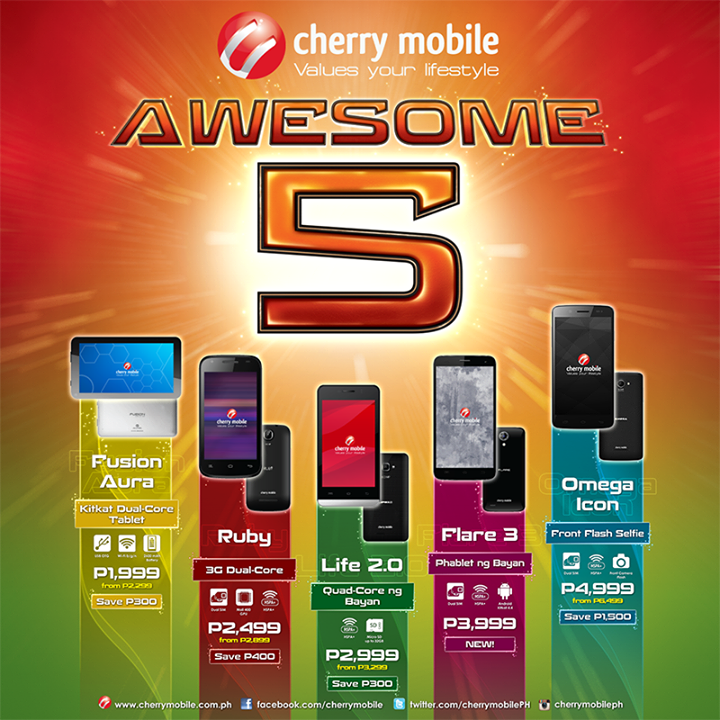 For more information on Cherry Mobile’s latest offerings, log on to www.cherrymobile.com.ph or visit the official Cherry Mobile Facebook page www.facebook.com/cherrymobile.